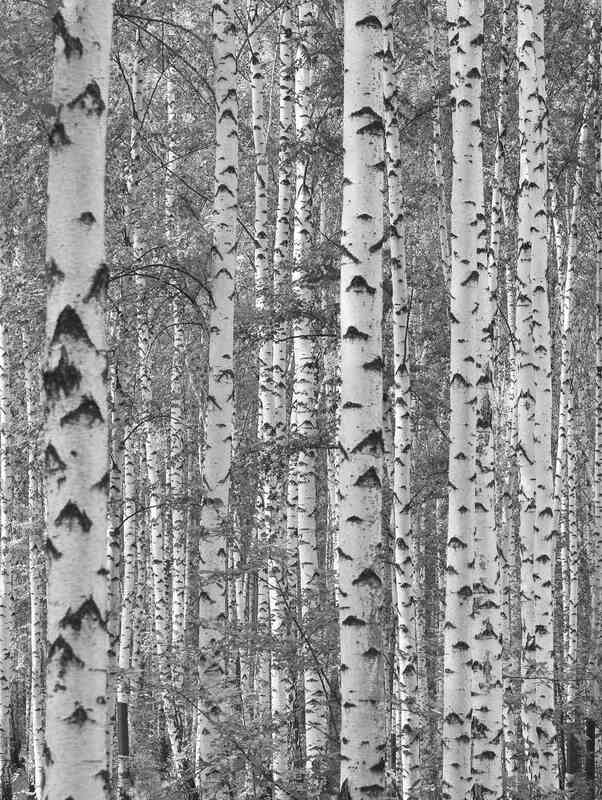 Birch tree trunks have a unique pale appearance. 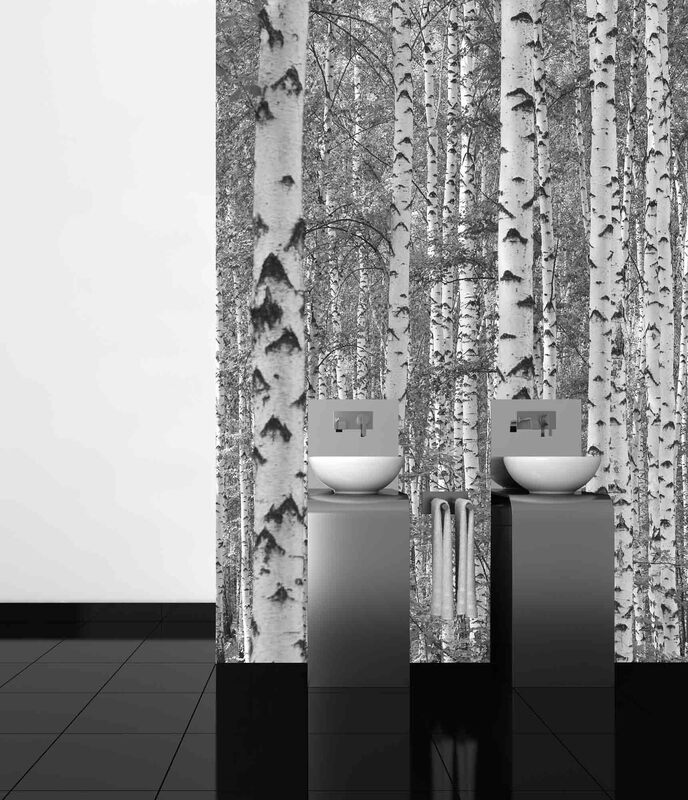 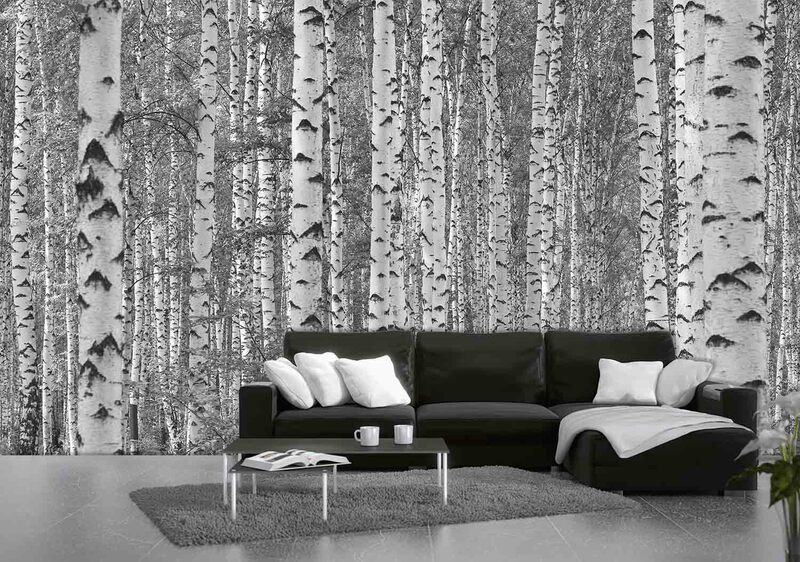 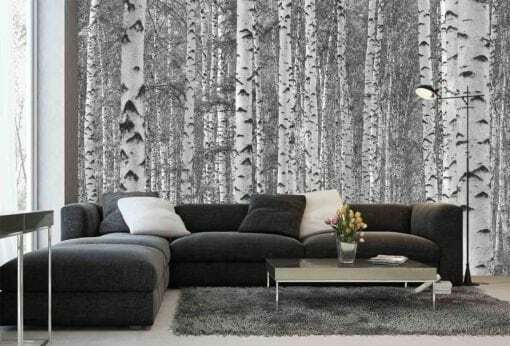 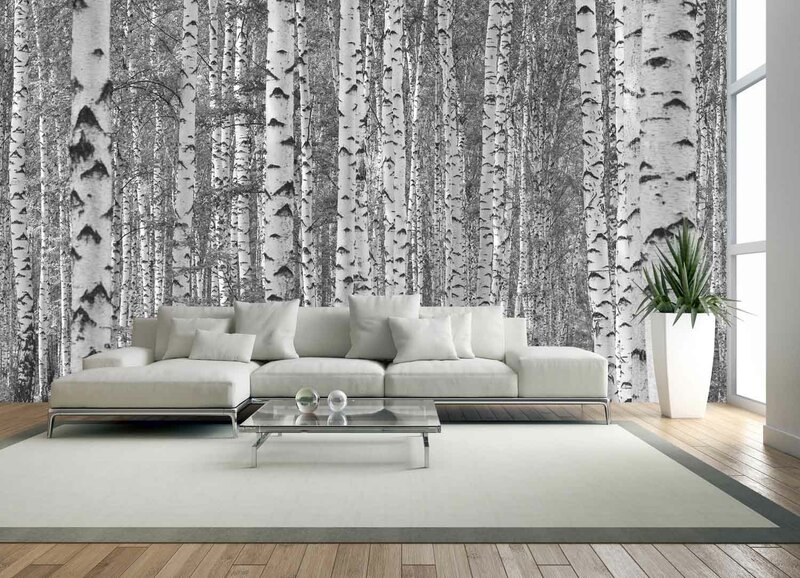 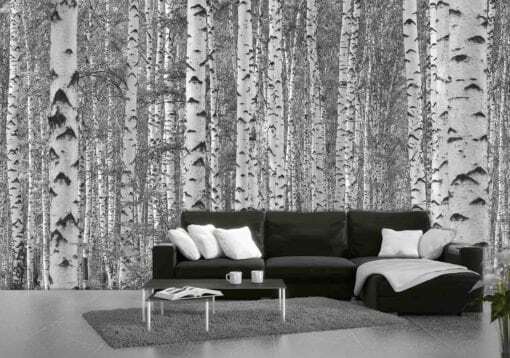 Even though this mural is black and white, the lighter shade of these trees is evident along with the amazing textures too. 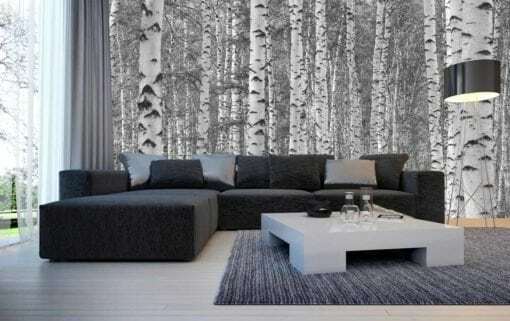 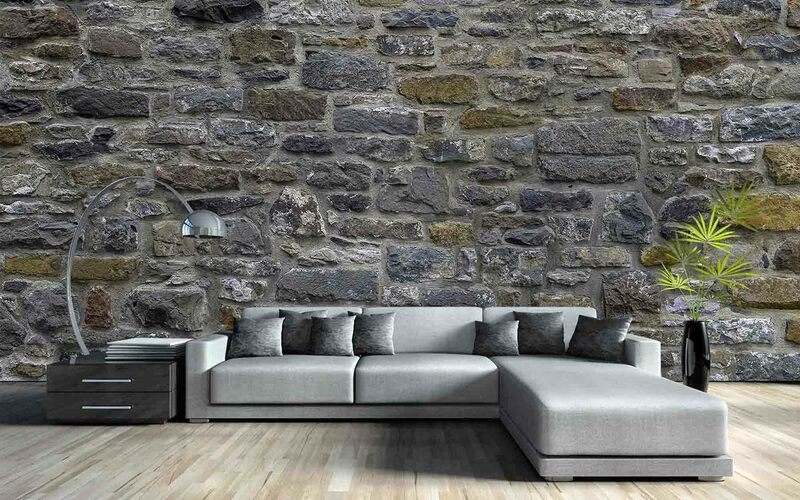 Excellent for areas like your living room and easily paired with black, white, or bright coloured furniture for some dramatic flair. 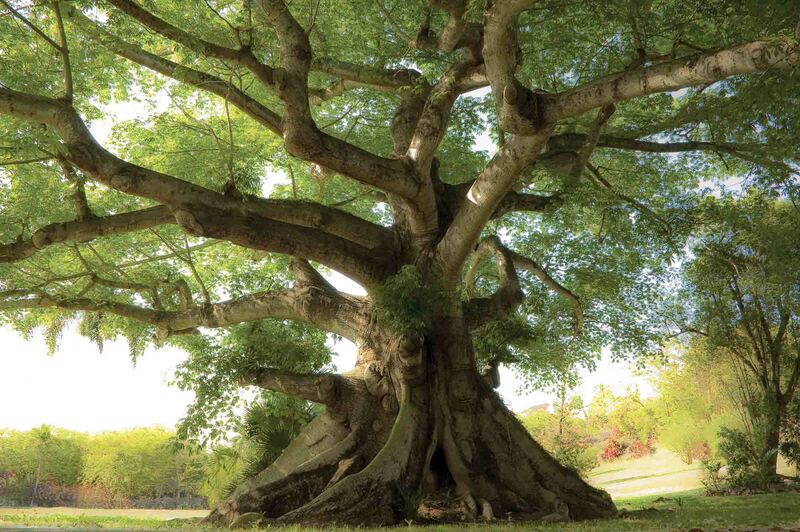 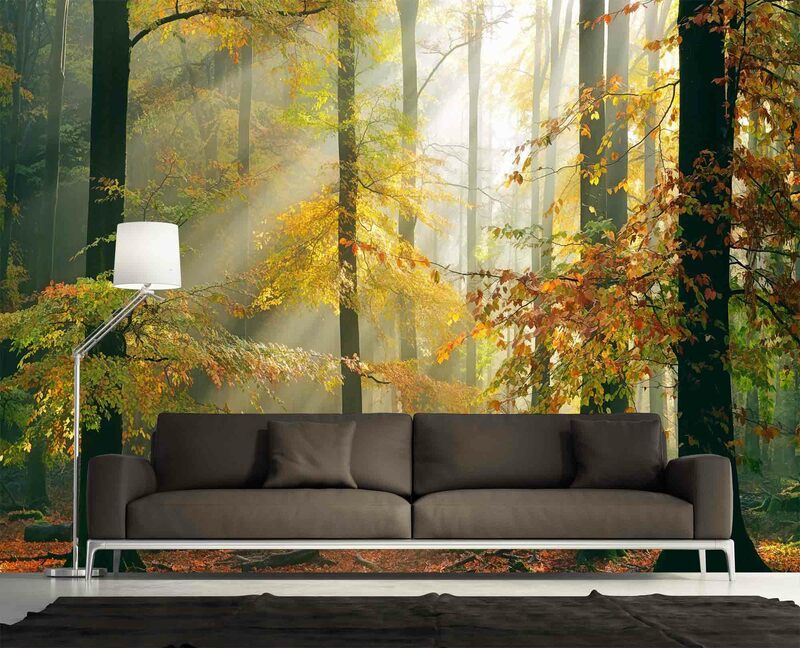 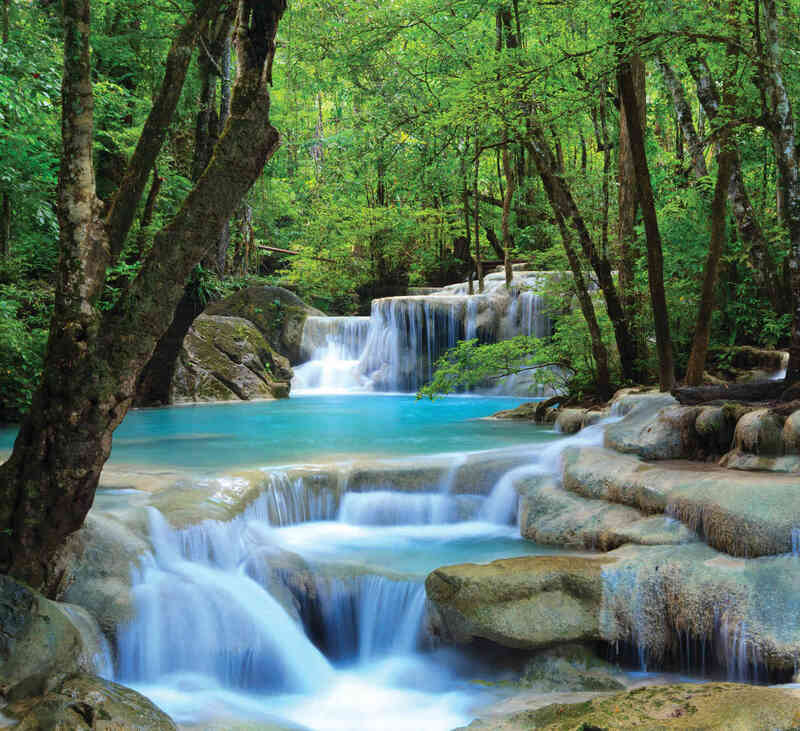 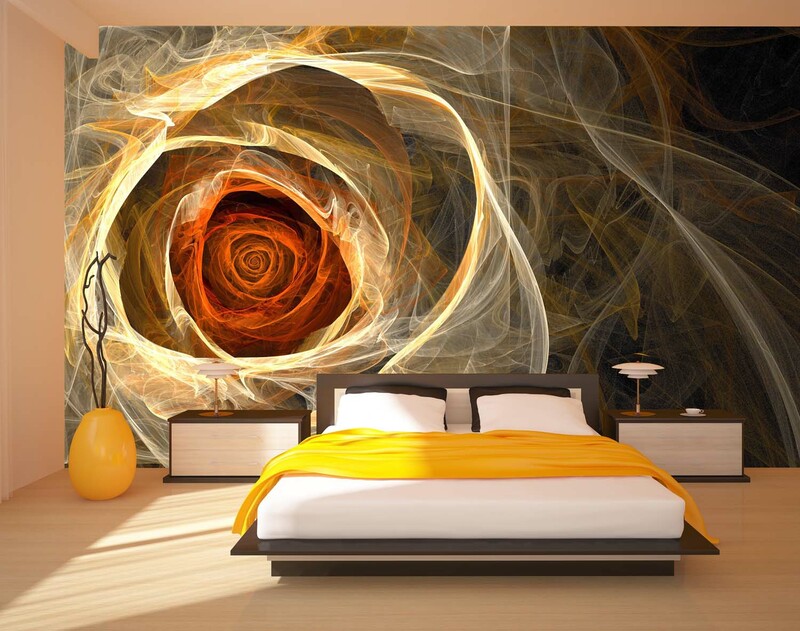 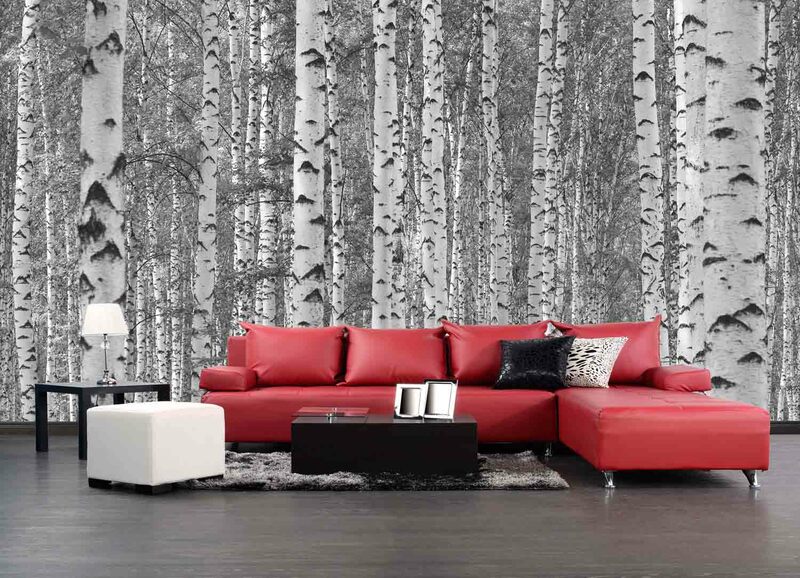 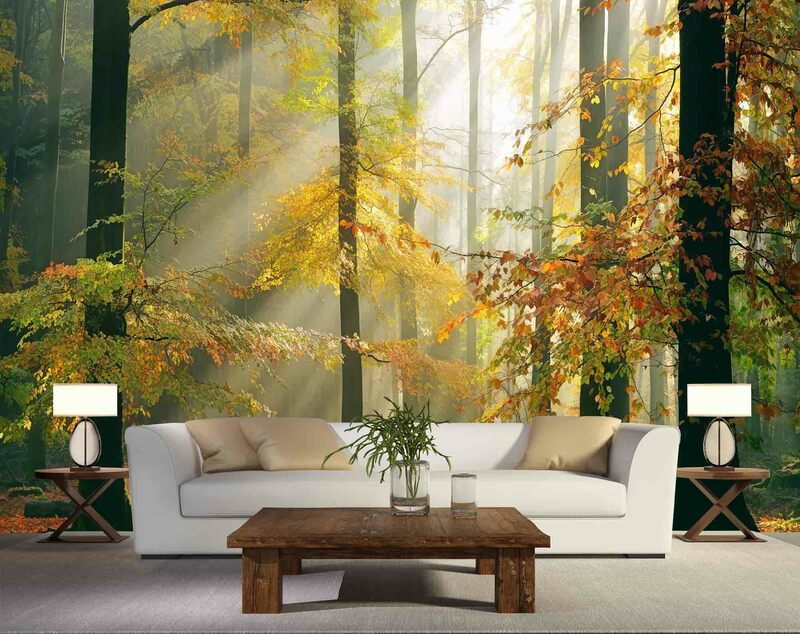 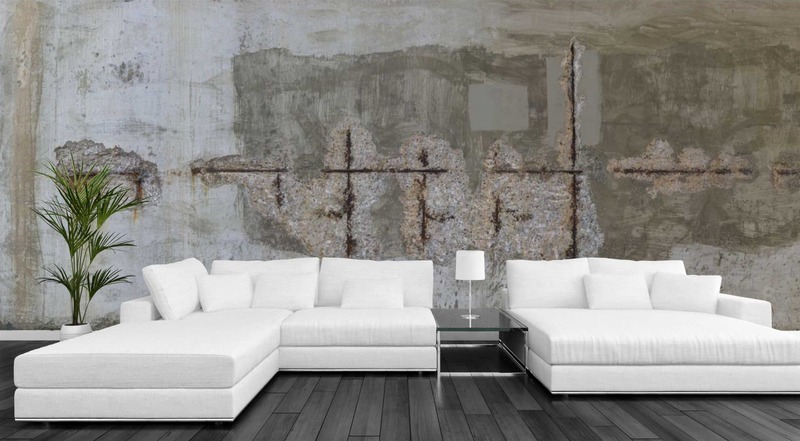 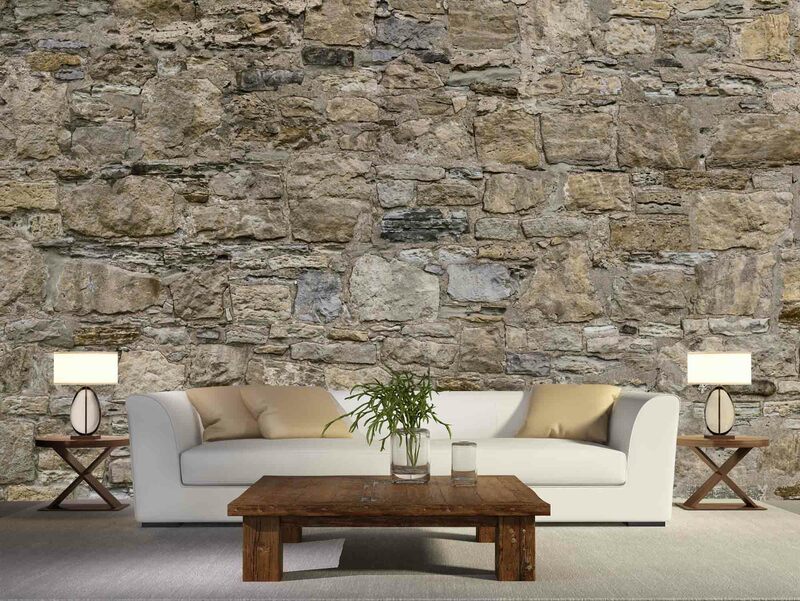 Spruce up your home or office with this easy to install mural. 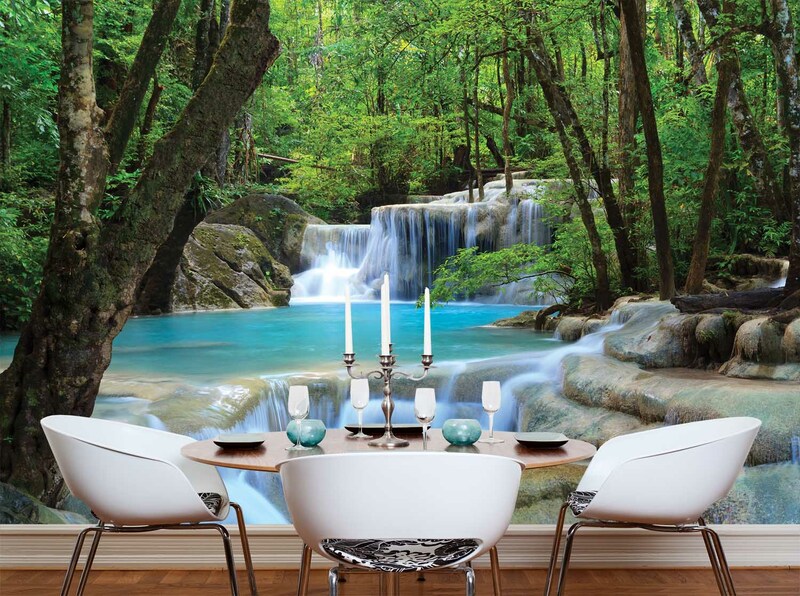 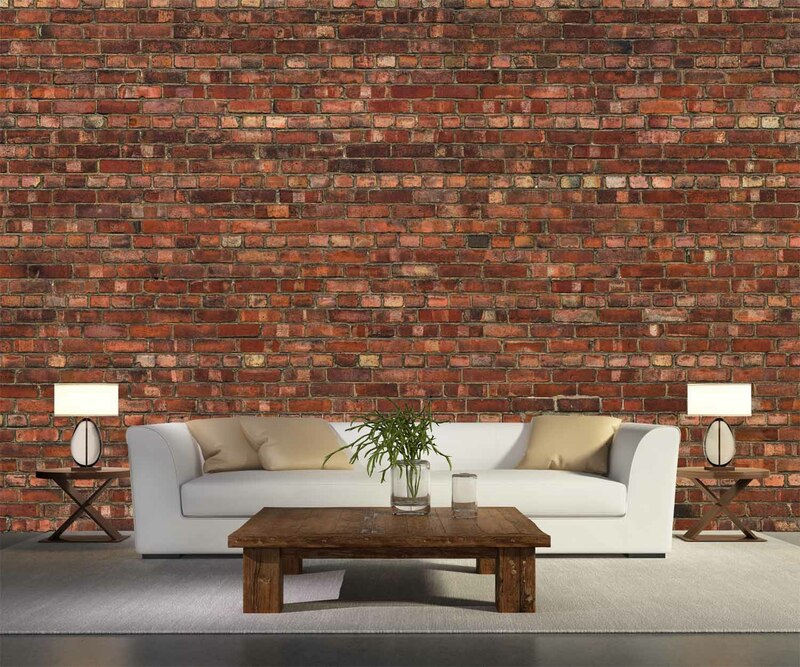 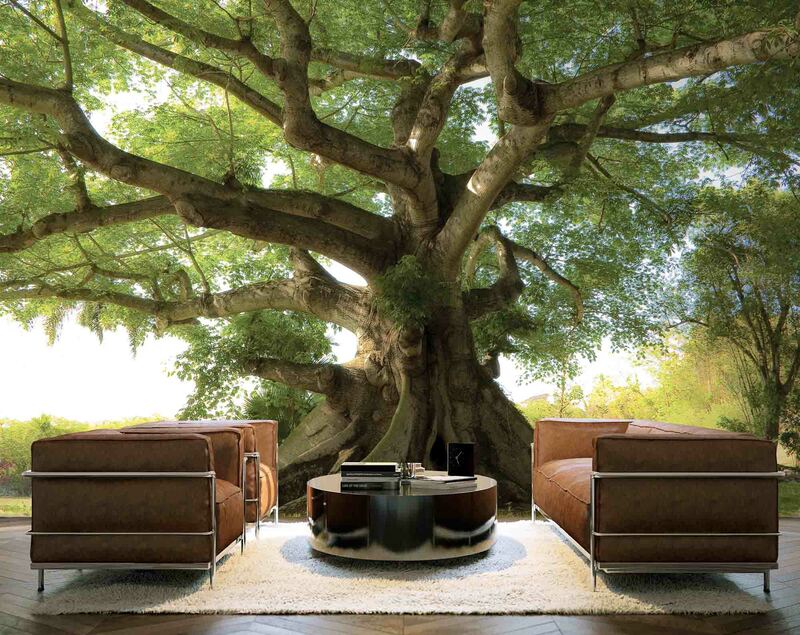 Once in place, you will love how it turns any wall into your own personal escape. 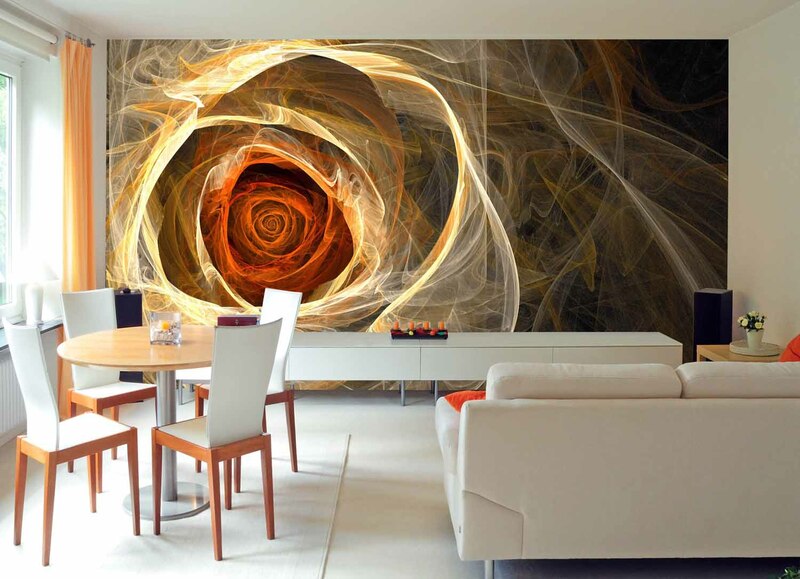 Washable, easy to remove, and reusable should you wish to move the mural to another room or wall.